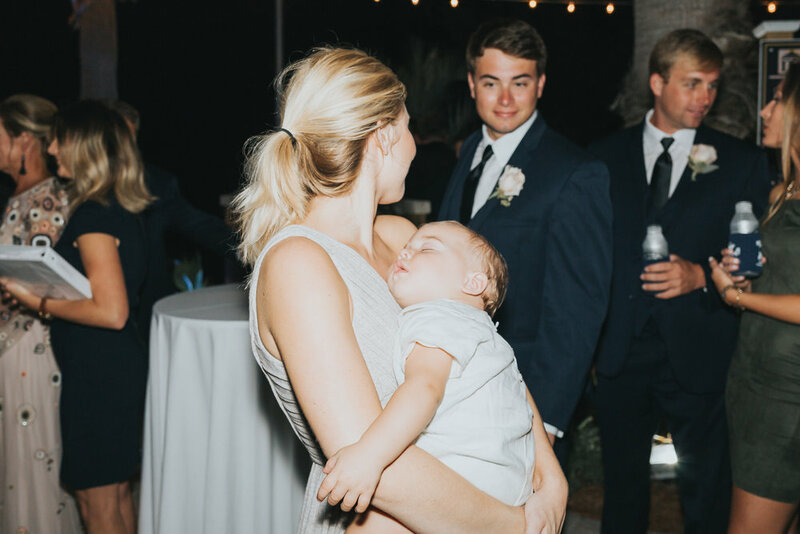 Mary Alex was such a stunning bride and momma to the most adorably feisty little 9 month old! 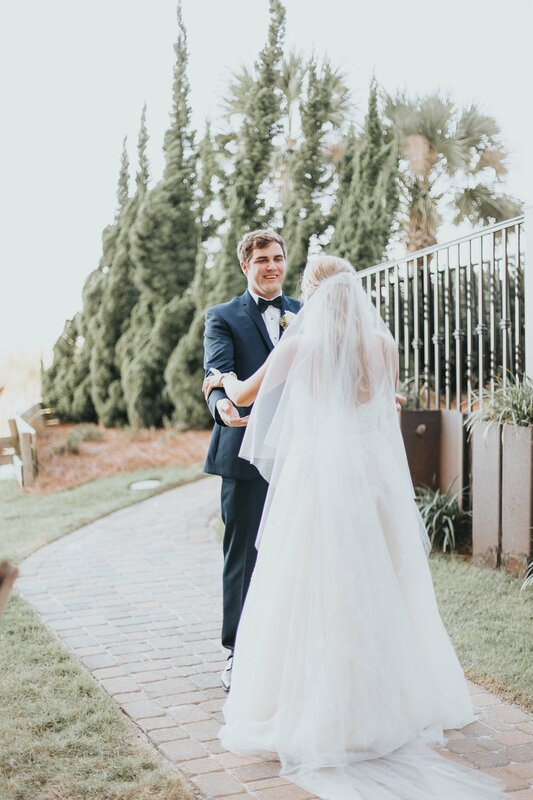 This wedding took place at the Portofino Resort in Pensacola Beach and the reception was poolside! String lights dominated all over lending dreamy twinkles to the night - my fav! This couple decided on doing a first look and it was AWESOME! 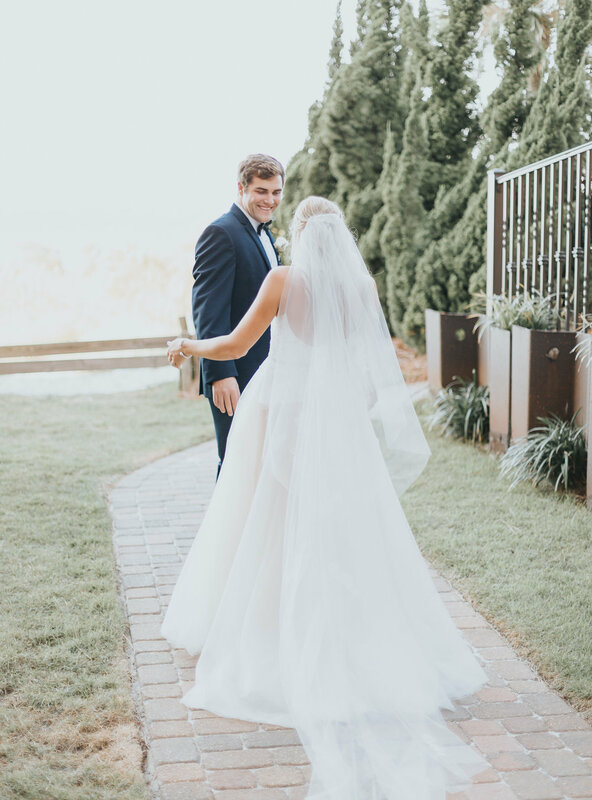 They read previously written love notes, practiced their dance, and Mary Alex showed off her stunning blush dress with subtle floral embroidery + her gorgeous feet jewelry. Click here to check out more wedding gallery highlights! I am always for doing first looks because not only does your fiancé not have to feel the pressure to perform in front of tons of people at the ceremony, it gives you a chance to connect before the wedding, ease your nerves, and see his first look up close rather than down the isle. One last reason to kick the traditional first look down the isle? Well, yes, it's traditional, but do you know why grooms were not allowed to see their bride to be before the wedding? Turns out, in the old days, when arranged marriages were common, the groom wasn't allowed to see his bride before the wedding in case the bride wasn't to his taste and he decided to back out! What?? That's also the reason the veil is kept over the face until the very last moment. I don't know about you, but that has my rebel nature coming out! Hah! Good on Mary Alex and her new hubby for breaking tradition! I can tell you they did not have any regrets! Click HERE to check out the wedding gallery highlights!